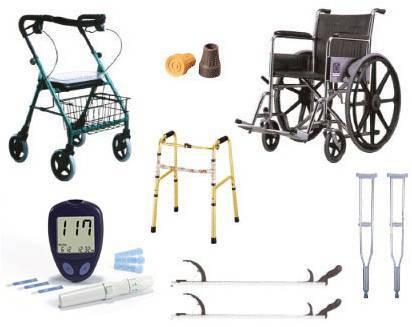 Home Health Care Policies - Starting in 2011, section 1834(a)(1)(F) of the Social Security Act (the Act) required CMS to use competitive bidding to set payment amounts for Durable Medical Equipment, Prosthetics, Orthotics and Supplies (DMEPOS) for certain areas in the country. As implementation of the DMEPOS competitive bidding program has rolled out in areas across the country, CMS has been using real-time data monitoring to ensure that Medicare beneficiaries continue to receive the medical equipment they need. This data monitoring tracks access to items and services and a number of clinical outcome measures such as mortality, hospitalizations, and emergency room visits. By all measures, the DMEPOS competitive bidding program has been a great success for beneficiaries and the taxpayers. Section 1834(a)(1)(F) of the Act also required that the DMEPOS fee schedule amounts paid in non-competitive bidding areas be adjusted based on information from the competitive bidding program beginning on January 1, 2016. CMS started to phase-in these new rates with a blend of 50 percent of the unadjusted fee schedule amounts and 50 percent of the adjusted fee schedule amounts on January 1, 2016. CMS is using the same monitoring system we use in competitive bidding areas to ensure beneficiaries are receiving the equipment they need. The monitoring data posted today shows that suppliers in all areas where the adjusted DMEPOS fee schedule rates have been implemented have continued to accept these adjusted rates as payment in full, suggesting that the adjusted fee schedule rates continue to be more than adequate in covering the costs of furnishing the DMEPOS items in all areas. A valuable indicator of whether payment amounts are sufficient is the percentage of claims that suppliers submit as accepting assignment, meaning that the suppliers accept the Medicare fee schedule amount as payment in full. Suppliers in non-competitive bidding areas are not required to accept assignment of Medicare claims for DMEPOS items in accordance with the Medicare statute. This means that if an adjusted fee schedule amount is not sufficient to cover the costs of furnishing the item to a particular beneficiary in the supplier’s service area because of where the beneficiary lives or for other reasons, the supplier can decide not to accept assignment of the claim and can collect the extra money to cover their costs directly from the beneficiary. This payment from the beneficiary would be in addition to the coinsurance and deductible required by all beneficiaries for DMEPOS items. The monitoring data posted today compares the rate of assignment of claims for DMEPOS items for the first four months of 2015 that were paid at the unadjusted fee schedule rates versus the rate of assignment of claims for the same items that were paid at the new partially adjusted rates for the first four months of 2016. The data are broken out for eight geographic regions of the contiguous United States, as well as non-contiguous areas (i.e., Alaska, Hawaii, Puerto Rico, Virgin Islands, etc., combined). The data are also broken out to compare the rate of assignment of claims for DMEPOS items furnished in rural areas versus non-rural areas. The rate of assignment of claims in 2016 continues to be very high overall in both rural and non-rural areas. Finally, the data is broken out for several different categories of DMEPOS items. Overall, there was no change in the rate of assignment for the first four months in 2016 (99.88 percent) compared to the first four months in 2015 (99.87 percent). There was also no change in the rate of assignment in rural areas in 2016 (99.90 percent) compared to 2015 (99.90 percent), while the rate of assignment in non-contiguous areas changed only slightly in 2016 (99.81 percent) compared to 2015 (99.90 percent). CMS expects to post additional data on assignment rates, access to items and services, and health outcomes in the near future. Based on our monitoring efforts and the continued high voluntary acceptance of assignment across all non-competitive bidding areas, including rural areas and non-contiguous areas, CMS believes that the fee schedule adjustments implemented in January have not had a negative impact on beneficiary access to quality items and services. CMS will continue to monitor all data very closely leading up to and following the phase in of the fully adjusted DMEPOS fee schedule adjustments on July 1, 2016.